Read about the research carried out for the second edition! A new and authoritative guide to the pronunciation of English. The Longman Pronunciation Dictionary has been specially prepared for students and teachers of English. It provides clear models of widely-accepted, contemporary English pronunciation as well as valuable information about alternative pronunciations. With over 75,000 words and in addition many thousands of inflected and derived forms, the Longman Pronunciation Dictionary is an authoritative, comprehensive, and up-to-date reference work. This dictionary will be an essential source of information for all those with an interest in contemporary spoken English. This book was awarded the English-Speaking Union Duke of Edinburgh's prize for lexicography. 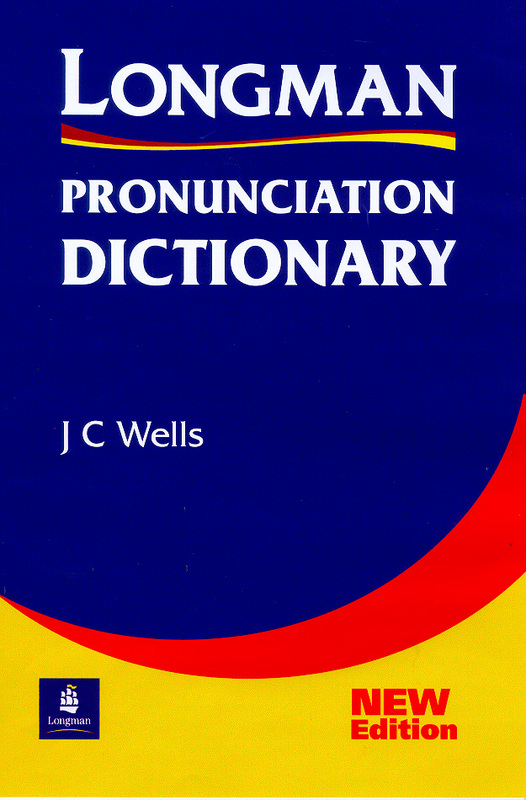 A spoken version of the Longman Pronunciation Dictionary is incorporated in the Longman Interactive English Dictionary, a CD-ROM published by ACT Multimedia/ Harlow: Longman, ISBN 0 582 236940. The author, Professor John Wells, holds the Chair of Phonetics in the University of London -- a position previously occupied by A.C.Gimson and, before him, Daniel Jones, who was responsible for establishing the standard IPA system used in English Language Teaching throughout the world. Coming soon -- new edition! John Wells's home page - UCL Department of Phonetics and Linguistics.